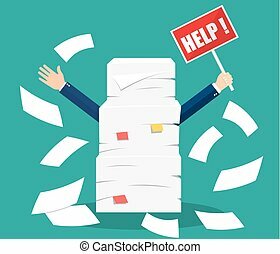 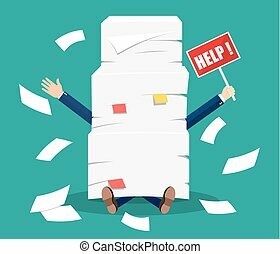 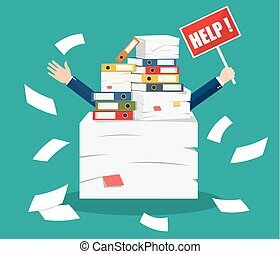 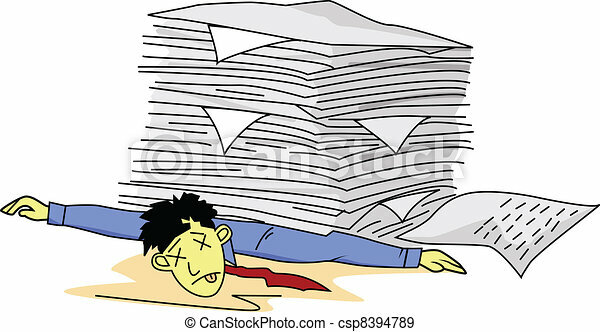 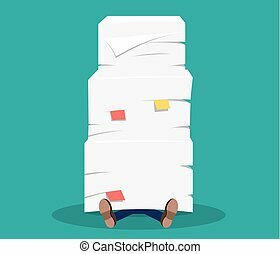 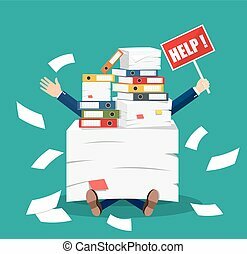 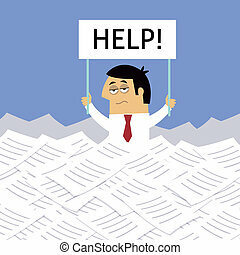 Business life workaholic worker overloaded under papers with help sign vector illustration. 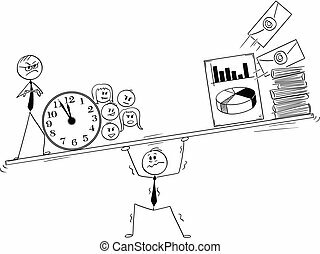 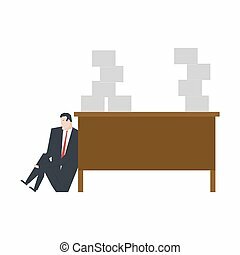 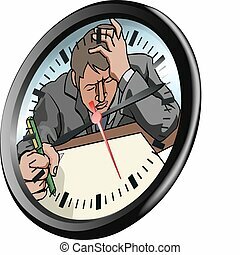 Cartoon stick man drawing conceptual illustration of stressed businessman under pressure by coworkers, manager and work duties. 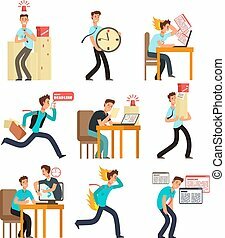 Business concept of stress and overwork. 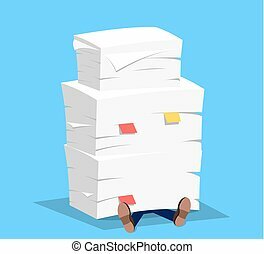 Input overloading. 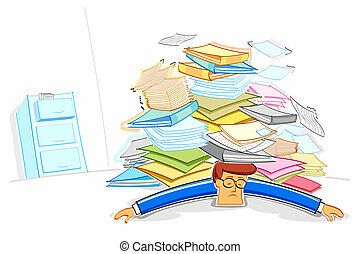 Information overload concept. 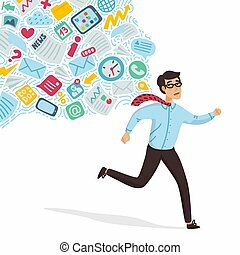 Young man running away from information stream pursuing him. 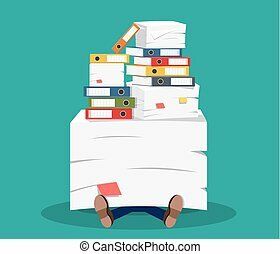 Concept of person overwhelmed by information. 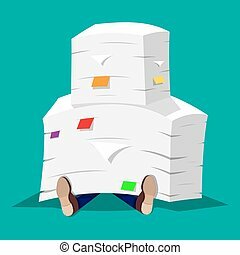 Colorful vector illustration in flat cartoon style.